11/21/16 – For Iowa Department of Transportation inspectors, tablet computers are quickly becoming the most essential tool on a construction project. In 2015, inspectors began the transition to a 100 percent paperless construction management to increase project efficiency. In addition to being a smarter way to do business, a paperless process will provide improved transparency and increased partnership with our customers, eventually modernizing the workflows, saving time, and receiving better data to help the Iowa DOT save money. The agency conducted a pilot project over the 2016 construction season. Information about each concrete load being delivered to that project was tracked and recorded electronically. Although this year’s “proof of concept” pilot electronically followed concrete load information for only one project, Greg Mulder, director of the Iowa DOT’s Construction and Materials office, says the success of the concrete tracking, in addition to the success already achieved with tracking asphalt shipments online, almost guarantees an expansion of the electronic processes next year. 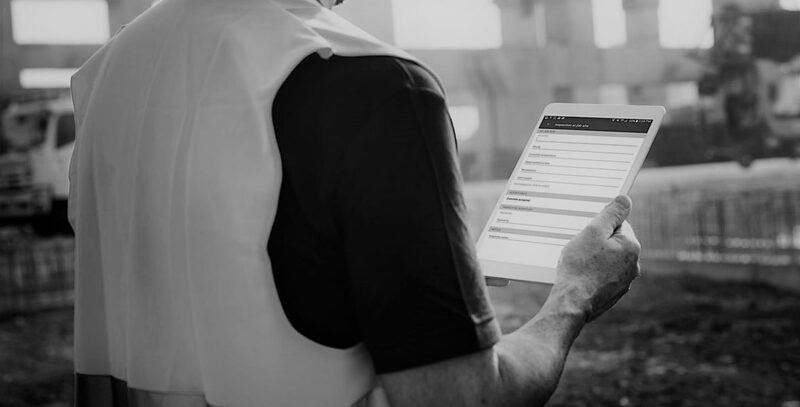 The cloud-based system for tracking concrete loads gives Concrete Supply (CSI), of Des Moines, and the Iowa DOT inspectors and supervisors information they need in real time. Anyone with access to the system can track trucks using Google Maps, retrieve and review load tickets from any internet-connected device, and customize reports for each person’s needs. Viewing reports is also simplified using the electronic records. Mulder says the inspectors on the jobsite can add their notes directly into the system, which allows immediate access to the information. These notes, along with daily reports and summaries, can been viewed by the contractors to keep an open line of communication.